Our organization is greatly backed by the expert workforce, who help us in supplying and exporting a quality range of VCARE Tablet PC (MT-X1050). To maintain industry defined quality standards, the offered tablet is manufactured by our vendors experts using high-quality components and advanced technology. Featured with captivating touch screen, latest software and operating systems, our Tablet PC is gaining appreciation both in the domestic and international market. 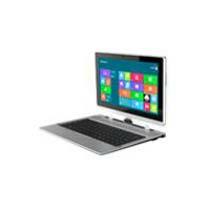 The offered Tablet PC is designed keeping in mind the specific needs of clients and is offered at very nominal rates.